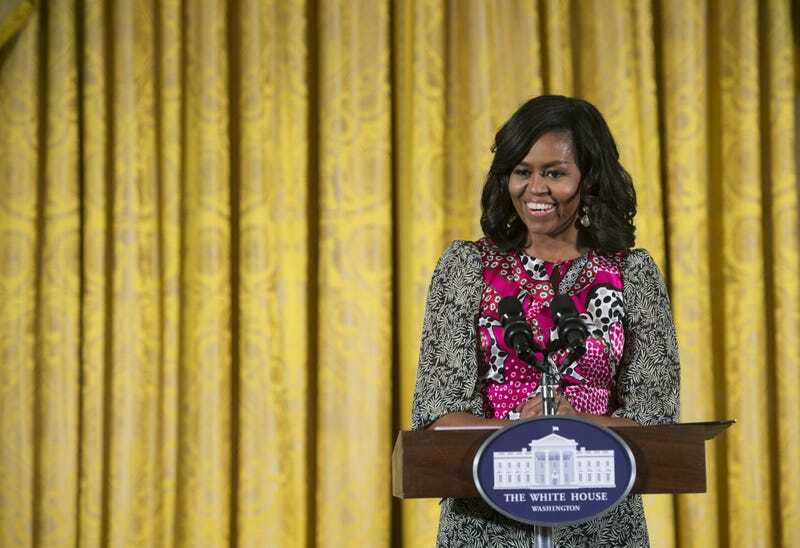 First lady Michelle Obama speaks Feb. 8, 2016, during a daylong dance workshop to highlight contributions African-American women have made to dance as part of Black History Month celebrations at the White House in Washington, D.C. The Obama administration has shown up and shown out for women, and the White House is stepping to the plate once again, hosting the first United State of Women summit at the Walter E. Washington Convention Center in Washington, D.C., on Tuesday. Highlights include a conversation on “Trailblazing the Path for the Next Generation of Women” with first lady Michelle Obama and media mogul and philanthropist Oprah Winfrey, as well as remarks by President Barack Obama. According to the Medium post, 5,000 people have registered to attend the summit, which will also be live-streamed online.